Oct. 2013 Readathon: Finish Line! 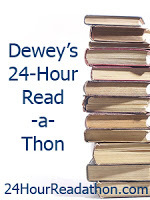 Dewey’s 24-Hour Read-A-Thon is a bi-annual readathon, hosted at 24hourreadathon.com, where readers and bloggers get together and read for 24 hours, sharing their experience with others. Another great readathon completed! I wish I had been able to read more, but that’s okay! How did everyone else do? Here are my answers to the End of Event Meme! Those last few hours that I was awake, like hours 19-21. It wasn’t extremely late here in Washington state, but I was super tired. Just don’t do what I did! 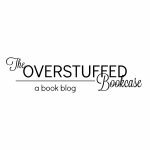 If you’re a blogger, try not to read review books during readathon. It’s better to be able to switch it up if you want. I loved the book I read, but it would have been nice to be able to read some smaller books for readathon. Instead, I just really needed to finish my review book. Small books, graphic novels–these are great for readathon because you get so many books under your belt! I think Twitter chats would be fun. I know people already support each other and leave status updates via Twitter, but it would be cool for several people to talk all at once. And I know it cuts into our reading time, but we all need breaks! Everything seemed to work well! I only read one book, but Across a Star-Swept Sea was fantastic! Since I only read the one book…But no, I can’t do that to Across a Star-Swept Sea! It was SO good! I was not a cheerleader this year, but I’m thinking about doing it next time! As long as my husband continues to be okay with taking the kiddo for the day, I’ll be doing readathon! And I think I’ll probably volunteer to cheer next year as well as participate! Thanks again to all the organizers and volunteers! You guys rock! And great job to all the readers! I love being a part of this awesome community! Great that you read a GOOD book. I need to make better choices next time.